Outside Apartment A fantastic 2-bedroomed apartment located in a five-star complex in the charming village of Geroskipou, providing accommodation for up to 4 people. The aptly-named Aphrodite Apartments are set well off the main road through the village. Fully-equipped accommodation for up to 4 people. Secure underground parking with lift to all floors. Big swimming pool with sun loungers, changing-rooms & showers. Gym, Spa & beauty salon. 10-minute walk to the village of Geroskipou. 5-minute drive to Aphrodite Water Park, Karting Centre & blue-flagged beach of Geroskipou. 10-minute drive to Paphos Town. 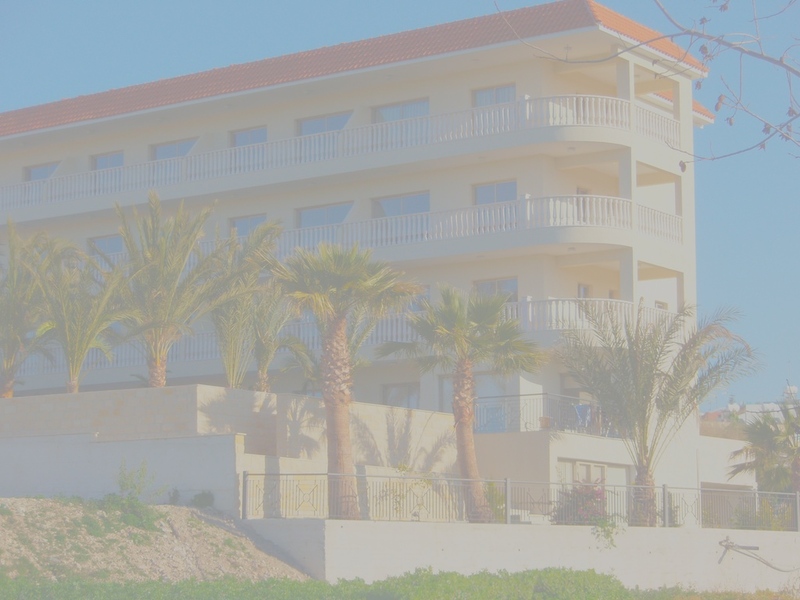 15-minute drive from Paphos airport. Local Golf courses: Secret Valley, Minthis Hills, Tsadha and Aphrodite Hills. 12km (7mls) to Coral Bay. 18km (11mls) to start of the Akamas Peninsula. 110km (70mls) to middle of Troodos Mountains. 135km (85mls) to capital city of Nicosia/Lefkosia along a very quiet motorway. Paphos has many attractions including the famous Paphos Mosaics, the Tombs of the Kings, the harbour & Paphos castle. Also within easy reach, along the west coast of Cyprus is the Akamas peninsula, a very popular yet still peaceful destination for both short strolls & long hikes. Delightful villages can be easily reached via the B7 road running north from Paphos through Yiolou, Millou & Kato Akourdhalia reaching Polis Chrysohou & then Latchi towards the north-west corner of Cyprus.